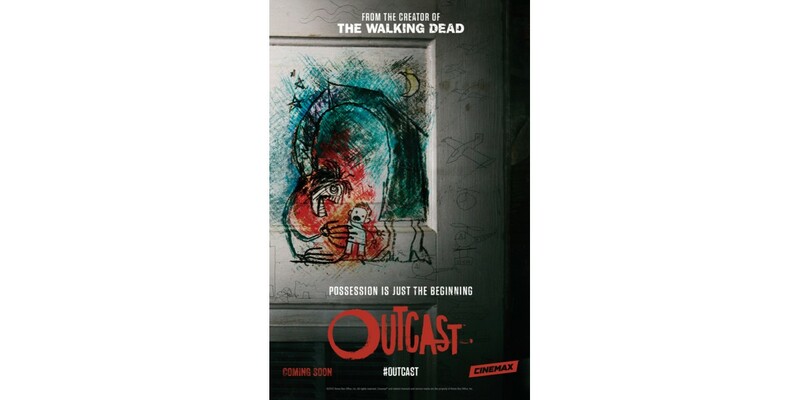 Image Comics is pleased to reveal that fans attending the Image Expo Spring Formal will be treated with a special screening of the pilot episode of OUTCAST, the forthcoming Cinemax TV series based upon the bestselling Image/Skybound series, OUTCAST BY KIRKMAN & AZACETA. The television series was created by Image/Skybound’s own Robert Kirkman who also penned the pilot episode. The series premieres June 3rd on Cinemax and has already been renewed for a second season. A special Valkyrie crowning ceremony—emceed by New York Times bestselling artist Babs Tarr (The New 52’s Batgirl)—to honor the group’s devotion to expanding the comics audience and fostering community within the industry will kick-off the dance proper. THE WICKED + THE DIVINE’s Kieron Gillen and Jamie McKelvie will DJ the event. Attendees will take to the tiles to dance, mingle, knock back signature cocktails, and snap silly selfies in the photo booth. Image Expo Spring Formal dance will be held on Wednesday evening from 8 p.m. - 12 a.m. at The Showbox Market theater and will celebrate diversity and community in the comics industry. The Formal will also highlight the Comic Book Legal Defense Fund’s important efforts to protect and promote diverse creators and their work. The Spring Formal will follow on the heels of Image Expo. IMAGE EXPO 2016 will feature a line-up of some of the hottest names in comics and offers a uniquely experience for fans to have unprecedented access to the writers and artists behind their favorite comic books at exclusive autograph sessions and comic-focused programming. In addition, Premium Admission Ticket holders will enjoy an admission ticket to 18+ Image Comics' Spring Formal dance—a chance to mingle with creators, press, retailers, and fellow fans, an Image T–shirt, an Image tote bag, EXPO exclusive variants, Priority seating, and access to the Premium signing.